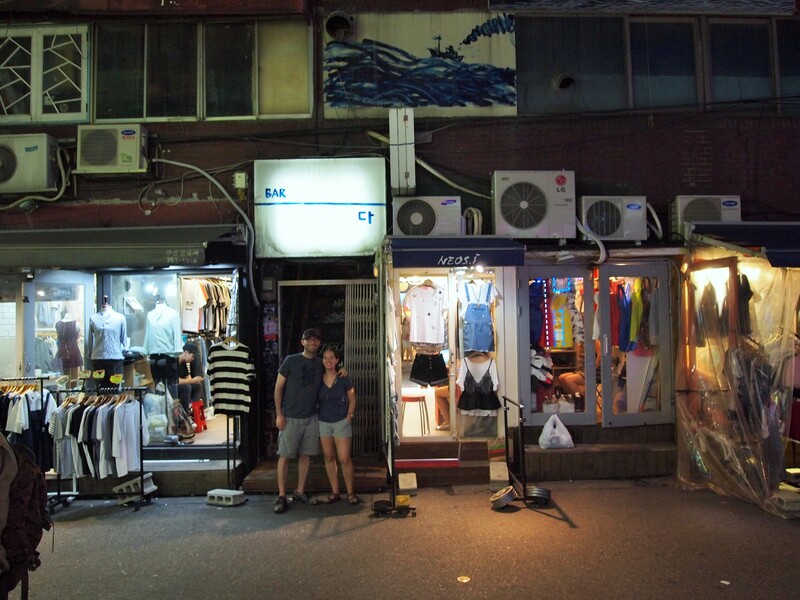 If we weren’t in Itaewon we were probably in Hongdae. 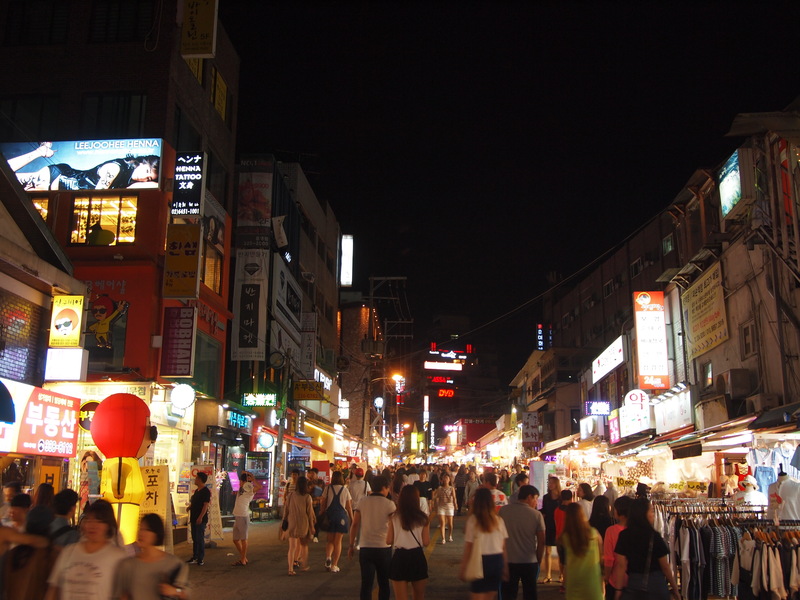 Hongdae is an incredibly hip university area full of students. If it was a weekend, especially a Saturday, all the streets were packed with people. Most of the time if we were in Hongdae we were at Magpie. Magpie is a South Korean brew pub with locations in Itaewon, Hongdae, and Jeju. 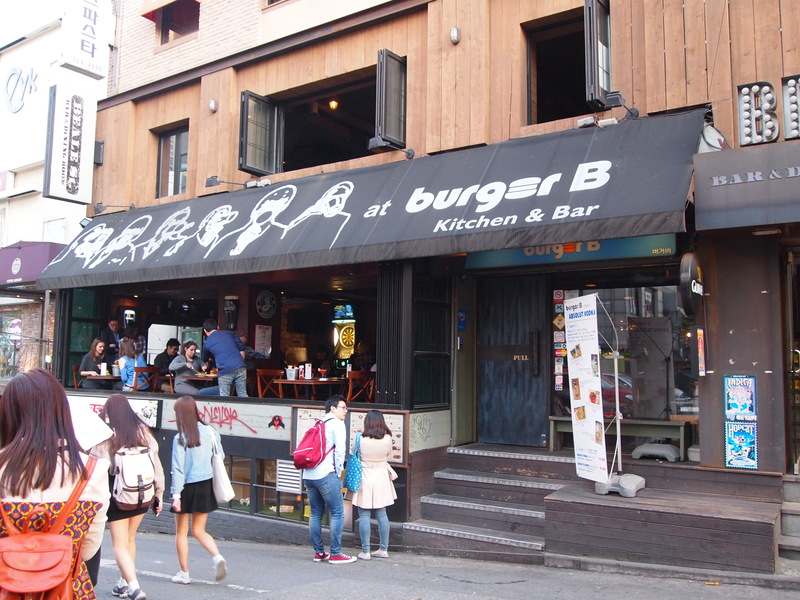 The Hongdae location was always quiet and chill. It was cozy in the winter and a nice place to sit for a while in the summer. Sometimes we met others there and sometimes we went by ourselves. Magpie had an easy vibe to it, and it reminded us most of the brew pubs we liked back home. One of our greatest discoveries in Hongdae was Yeti, an Indian/Tibetan restaurant with amazing food and decor. The back of the restaurant had floor seating with comfy pillows and a continuous cycle of Indian music videos. The food was fabulous, and the prices were pretty great. After our meal we leaned into the pillows to relax and watched the music videos go by. 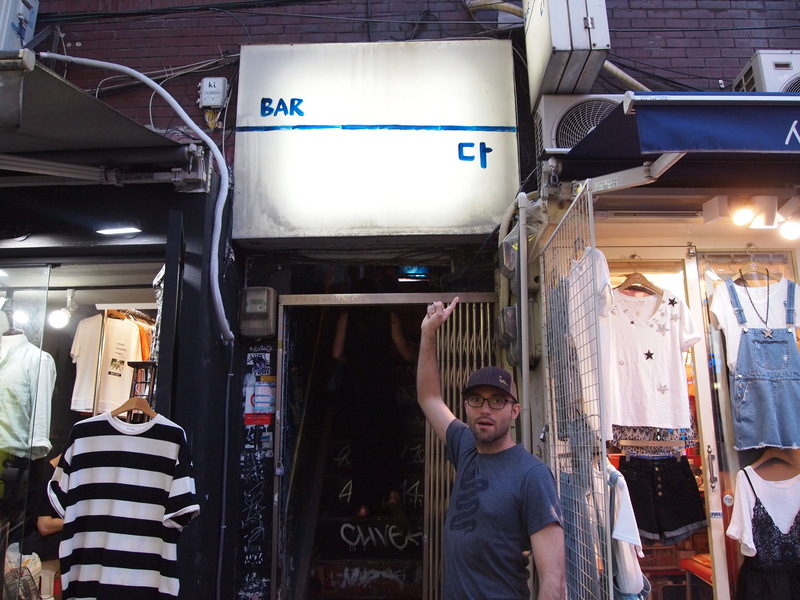 By far our favorite bar in Hongdae, and maybe even Seoul, was Bar Da. A fellow Austinite, Patrick, introduced us to it, and we were instant converts. Bar Da was dim and divey, the exact type of place you wish to find after a long day of teaching. It offered a respite from the deluge of people and the insanity of technology and objects being shoved in your face on a daily basis. It was the perfect place to order a nice glass of scotch or some wine and have a real conversation about philosophy or travel. It was our favorite escape.